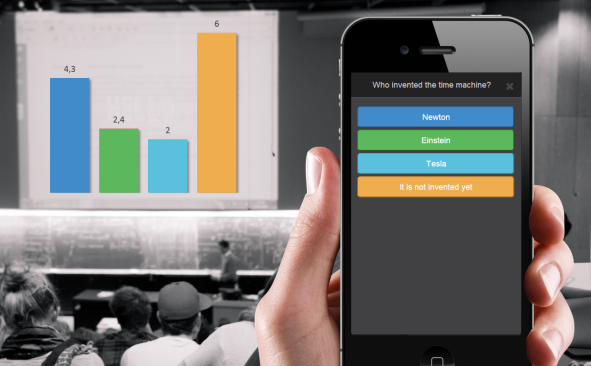 With SlideDog, you can Live Share your presentation to your audience devices in real time and run interactive polls and feedback sessions. The audience can follow your slides and participate in the interactive sessions through the web browser on their mobile phones, tablets and PCs. They can also comment and ask questions through a private chat channel. SlideDog is really easy to use, and you can jump right in with your existing presentation material and without changing the way you present. 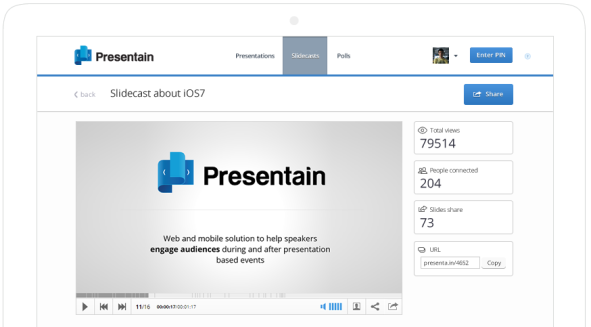 In addition to running interactive polls and using your smart phone as a presentation clicker, Presentain lets you record your presentation so you can share it with others later on. This is a really nifty feature if you would like to expand the reach of your presentation. With Twiddla, you can set up an interactive whiteboard in seconds. Your whiteboard gets a link that you can share with your audience. Anyone can type, draw and post pictures on your whiteboard. This is great for smaller meetings or lectures and for crowd-sourcing presentation notes. Kahoot is a great tool to create quiz sessions with a competitive element. Your audience will be rewarded points for answering your quizzes, and a winner will be disclosed at the end of the session. 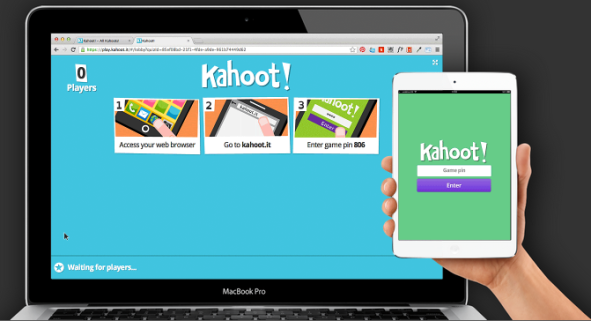 Kahoot is primarily focused on lectures in education. 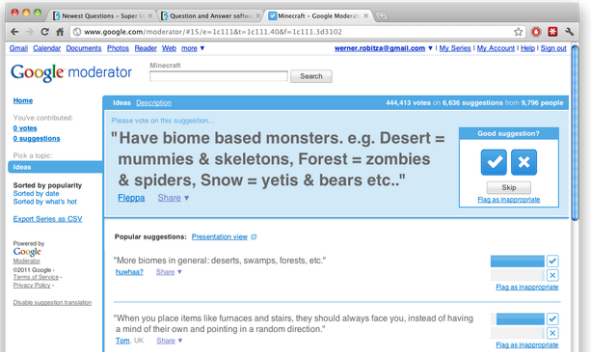 Google Moderator offers a democratic approach to question rounds. Anyone can suggest a question or subject that should be highlighted in your question round. The questions are then voted up by your audience and presented to you as prioritized list. In this way, you can ensure that the questions you spend time answering will be the most relevant to your audience. This tool is great when speaking for larger audiences.